Katherine Taylor is the author of the new novel Valley Fever. 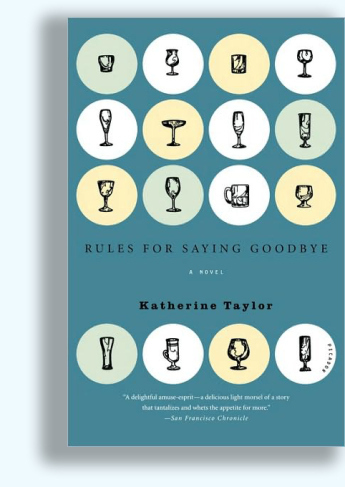 She also has written Rules for Saying Goodbye, and her work has appeared in a variety of publications, including The New York Times and Ploughshares. She lives in Los Angeles. Q: How did you come up with your main character, Ingrid? A: Ingrid is the manifestation of my own conflicting feelings for my hometown. She evolved through the many, many, many drafts (the book was a 10-year process…or, I sometimes say, ordeal). Recently I looked at old notes for the novel, and was really surprised to read I’d originally conceived Ingrid as someone who wanted to sell or develop the farm. I feel very protective of her, and I was astonished that I’d at one point imagined her to be so mercenary. It takes a while to know your characters, and obviously at first I didn’t know who Ingrid was at all – it took years of drafts to understand her. 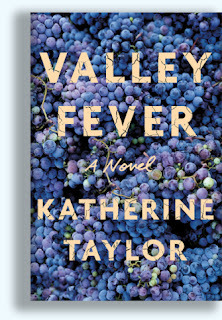 Q: The novel is set on a farm in Fresno. Could this story have taken place on a farm in some other location, or could it only have happened in California’s Central Valley? A: There is something very specific to the central valley – the deserty-dry heat, the mild winters, the sense among the people who live there that the center of California is also the center of the civilized world. There’s the scarcity and value of water, something other agricultural areas don’t need to consider as much (I’m thinking of other wine regions, places where there’s considerable rain, or the Midwest). I guess the answer is that I couldn’t – or wouldn’t – have written it in another setting, but I think the novel is larger than place.It’s a story of friendship and betrayal and forgiveness. It’s about the shifting narratives within families and the cross-generational whiplash that comes with a certain kind of success. In that way, the story could have happened anywhere, in any industry, in any family, and the setting isn’t crucial. Q: Much of the book focuses on family dynamics. Why does that topic interest you? A: How you operate in a family is kind of a pressurized version of how you operate in the world, and if you can figure out how to just live in a family, maybe you can figure out how to just live in the world. Q: Do you know how your novels will end before you start writing, or do you make many changes as you go along? A: It depends on the project. I did know how this novel was going to end, because I knew the general story before I began (it’s based on something that happened to a family friend when I was young). 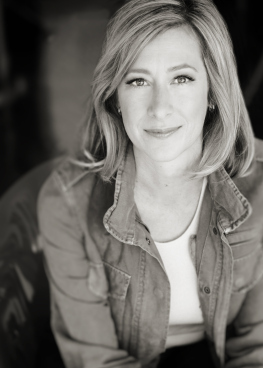 There were changes – significant changes, like Ingrid’s character and intentions – but the larger story has remained the same since I began the first draft in 2005. A: I have events listed here.